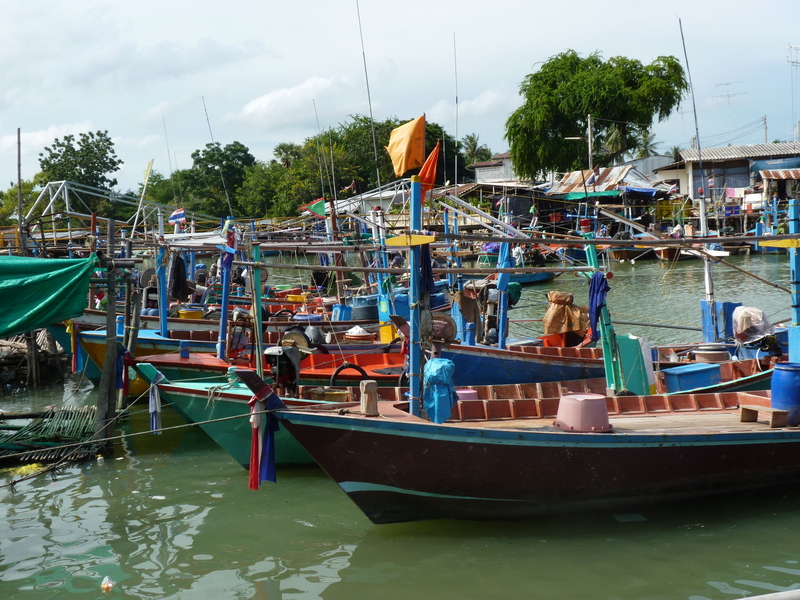 Sean and I decided that for our first real travel weekend, we would spend 2 days in Cha Am, a sleepy fishing village 3 hours south of Bangkok. For the past week, my days have been filled with early morning commutes across Bangkok, teaching evaluations, and lesson planning. As my TEFL certification class came to an end, I was so looking forward to this weekend. Sean and I arrived in Cha Am around 11pm on Friday night. We quickly checked into a guesthouse on the main road and fell asleep. We woke up around 1030am (both needing a good night sleep) and made our way to the motorbike rental stand outside the hotel. Sean negotiated a deal; we got on our lime green motorbike and went searching for a reasonably priced guesthouse on the beach. 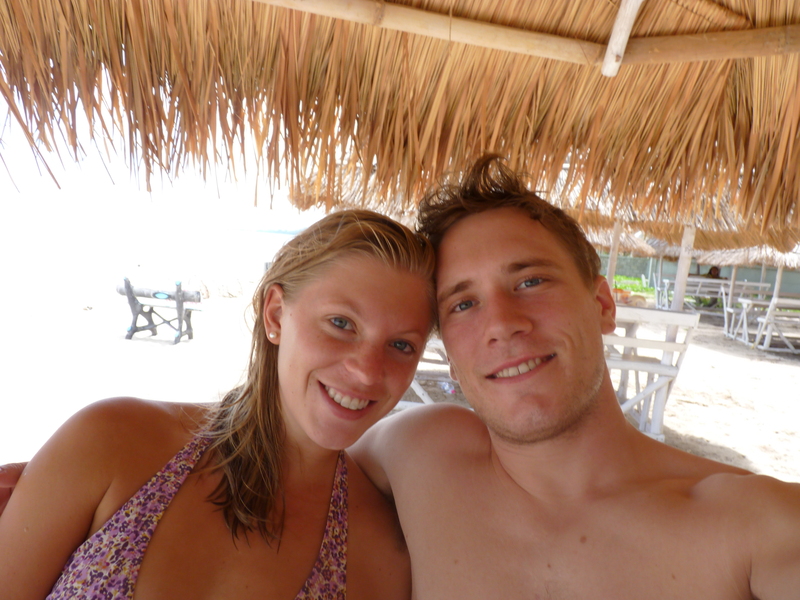 Finally, we had made it to the beach… and not another foreigner in sight. 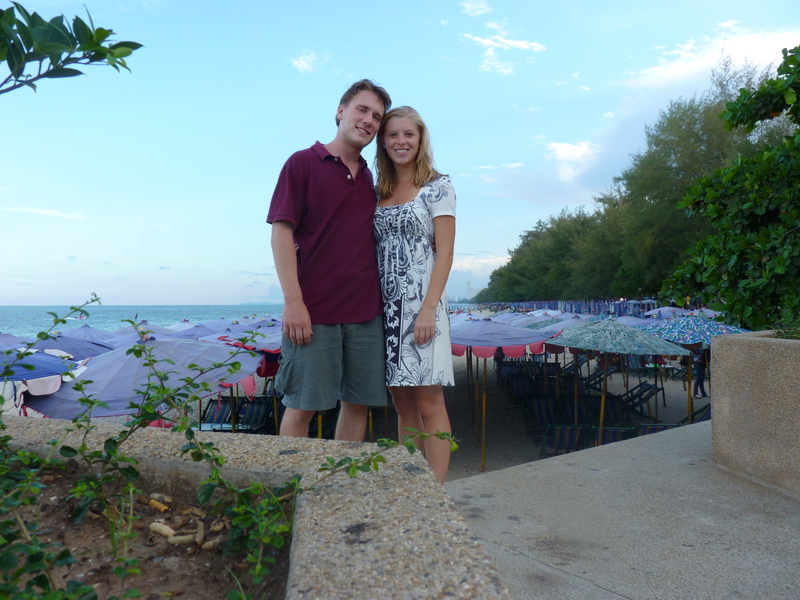 Other than a few Thais, we had the beach to ourselves. The sun was shinning, the ocean was refreshing, add to the mix the NY Times crossword puzzle book and a tall Leo beer, we were in heaven. 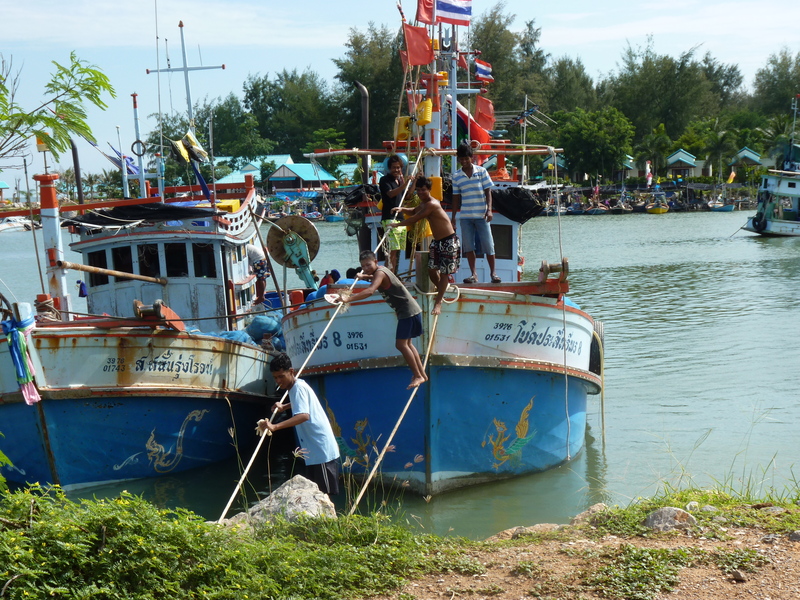 The beach was a stone’s throw away from the town’s fishing port that held some of the most beautifully decorated ships I have ever seen. 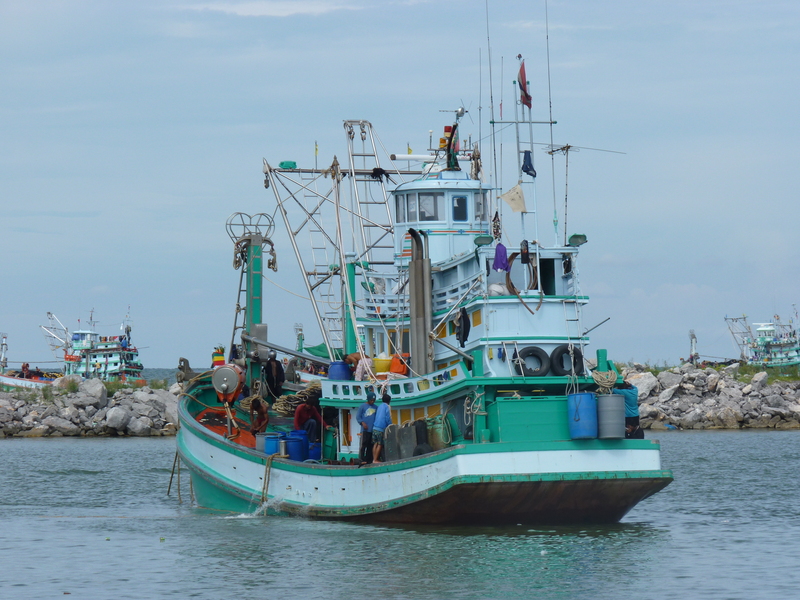 Ships were coming and going all afternoon, each carrying what seemed like thousands of shrimp/crab nets. 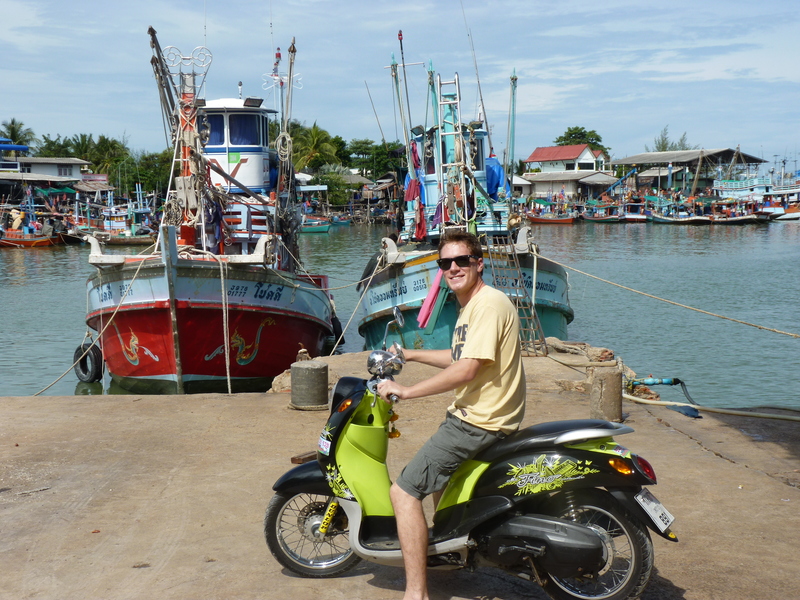 We took the motorbike and drove around the town, exploring the ins and outs of each street and tasting some of the local seafood. 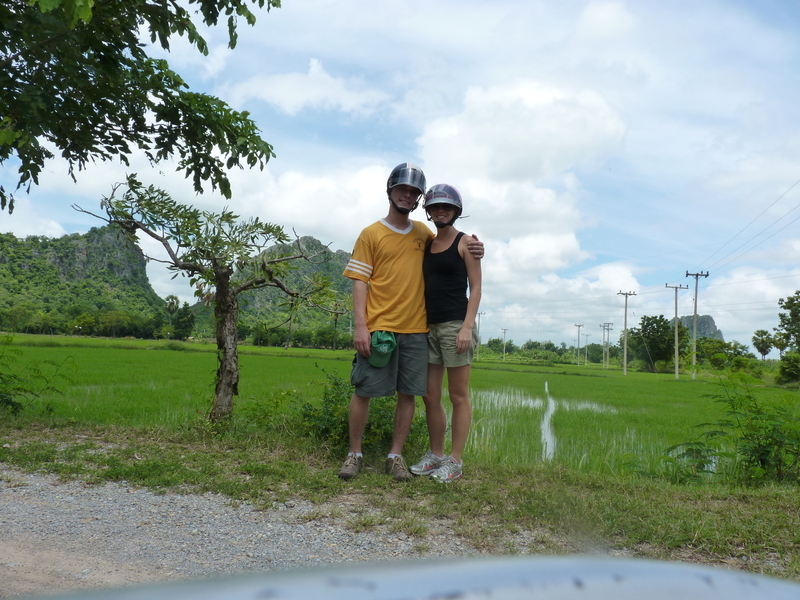 I honestly think we spent more time on the motorbike exploring than we did on the beach, but I wouldn’t have had it any other way. 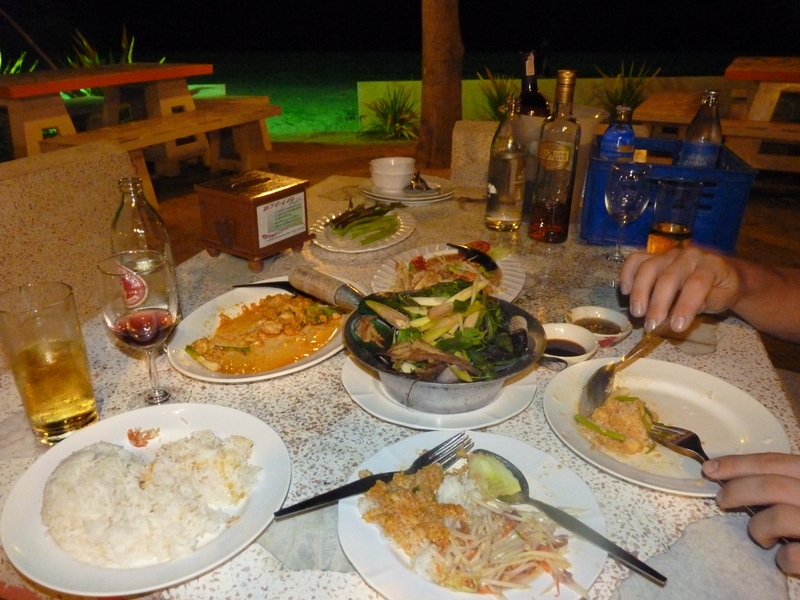 We ended out first night with a fantastic dinner of Crab Curry, Papaya Salad, steamed mussels, and a bottle of mangosteen wine. We woke up Sunday morning and headed to the mountains. Sean had read about a forest park with excellent hiking trails. A local told us that it was very close and we should have no problem finding it. After driving on three different highways and stopping at a gas station to ask for directions, we finally (and shockingly) made it. We hiked up four different trails that each led to lookout points. Each lookout point seemed higher and with a more breathtaking view than the last. 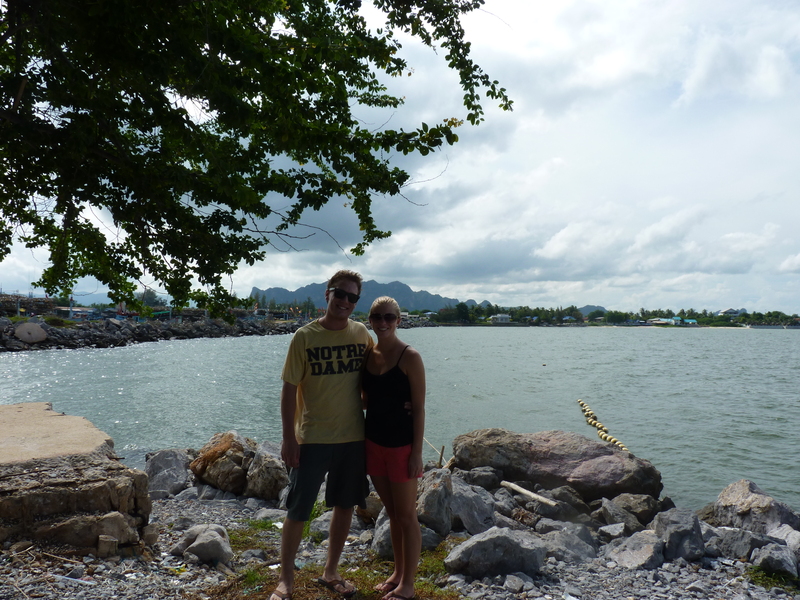 We were able to see the Cha Am fishing port off in the distance and the incredible landscape between the mountains and the ocean. After the hike, we were tired, extremely sweaty, and ready for a good meal. We decided that it was time that I try the much-anticipated Crocodile Burger from the local restaurant, Neeshy. This crocodile burger was even more amazing that I had expected (and trust me, Sean had talked about it for a few months). Crocodile is similar in taste to a turkey burger but with a lot more flavor. Add cheese, bacon, lettuce, pineapple and a fried egg between the bun, and we had a feast big enough to split. Top it off with some apple pie a la mode and a fruit smoothie, and we were ready to spend our last afternoon in Cha Am lounging on the beach. We were excited to see that you had a new blog posting (or two!) especially since Sean’s grandmother (Ga-Mom) arrived today for a visit. She loved hearing about your weekend and seeing all of the photos. 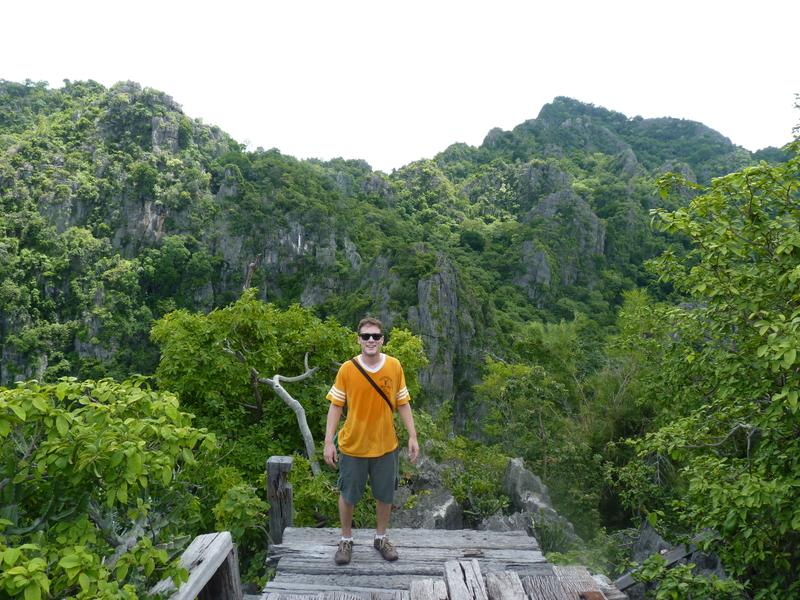 The highlight was that Sean was wearing a Notre Dame t-shirt in Thailand!!! 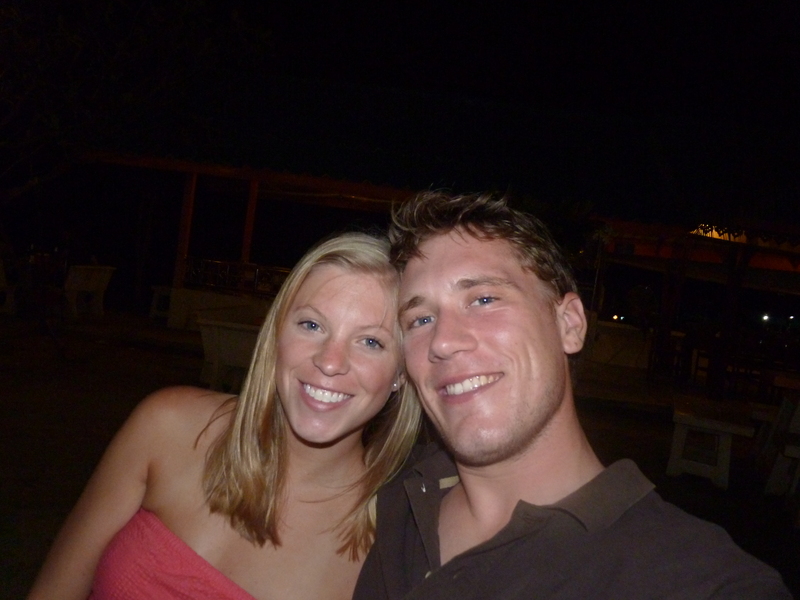 Congrats on finishing the TEFL course. Enjoy your travels. Can’t wait to hear about Vietnam!